In partnership with the Centers for Disease Control and Prevention's, National Center for Chronic Disease Prevention and Health Promotion, and the Division for Heart Disease and Stroke Prevention, ACPM has developed 4 courses focused on reducing cardiovascular disease risk factors among high-risk women, such as high blood pressure, elevated cholesterol, obesity, inactivity, diabetes, and smoking. The content does not necessarily represent the official views of CDC. 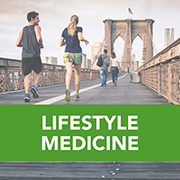 Review of the latest studies on how lifestyle change can improve hypertension and CVD outcomes. This module will address the balance of lifestyle change and medication management in higher risk patients. Practical tips for implementing the lessons learned from these studies. Special considerations with regard to diet, physical activity, stress management, and sleep (e.g. salt and hypertension) for these conditions. Managing patients with cardiovascular disease on the spectrum of socioeconomic status, ethnicity/culture, readiness to change, and severity/complexity of common comorbid conditions (such as depression). Include implementing WISEWOMAN resources as part of patient management. Case studies of patients who represent typical populations that WISEWOMAN targets. Culinary medicine is the practice of helping patients use nutrition and good cooking habits to restore and maintain health. It's a new field that combines important scientific principles related to nutrition, behavior and medicine. Culinary medicine offers a simple approach to understand how food and cooking relate to personal health, habits, and health care goals. It is an important self-care tool studied by medical professional and implemented at the practitioner level to better counsel patients and improve health outcomes. This Culinary Medicine CME activity is made possible by a generous grant from the Ardmore Institute of Health.